The premier bourse of the country - DSE - registered the highest turnover of the month with Tk 559 crore or Tk 5598.522 million today. It was the highest turnover since November 23 when it reached Tk 1051 crore or Tk 10513.938 million. The single-day turnover of the DSE stood at Tk 526 crore or Tk 5261.588 million on Wednesday. At the CSE, the turnover stood at Tk 441,260,618. The single-day turnover at the CSE registered a rise with Tk 436,104,944 on Wednesday against Tk 412,833,693 on Tuesday. The DSE key index - DGEN - gained 36.94 points or 0.70 percent to close at 5257.60 today. The key index showed a gain of 12.73 points or 0.24 percent to stand at 5233.39 at 1:05pm. The key index shed 19.04 points or 0.36 per cent to close at 5220.65 on Wednesday. The CSE key index, CSCX, also gained today. It gained 80.714 points at the end of the day’s four-hour trading though it showed a gain of 36.7071 points till 1:05pm. The CSE key index lost 44.98 points on Wednesday. The DSE key index showed a gain of 12.73 points or 0.24 percent to stand at 5233.39 at 1:05pm today. The key index shed 19.04 points or 0.36 per cent to close at 5220.65 on Wednesday. The CSE key index, CSCX, gained 36.7071 till 1:05pm today but it lost 44.98 points on Wednesday. Of the issues traded at the DSE, 197 gained, 52 suffered losses and 19 remained unchanged. At the CSE, 193 issues were traded and 127 of them gained, 41 suffered losses and 25 remained unchanged. Meanwhile, NCC Bank Director Abul Bashar reported that he has completed his receipt of total 19,26,500 shares of the Bank from his mother, his sister and his brother as gifts outside the trading system of the exchange. 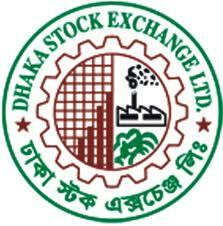 Besides, Southeast Bank director M Akikur Rahman expressed his intention to buy back 5,00,000 shares in addition to his current holding of 76,64,020 shares of the Bank at the prevailing market price through Stock Exchange within the next 30 working days. million with an average of Tk 361 crore Tk 3618.62 million on each trading day.